Congrats on being published! We have to celebrate those moments, whatever they are. My summer was busy, busy, busy. Sigh. Had hoped for lazy, lazy, lazy. Thanks, Natalie. And sorry you haven't much time to relax. Hope you can get a long weekend somewhere. Maine looks beautiful. Can't wait to catch up. I saw a school bus in my neighborhood today. They're getting ready! The pictures are lovely -- and nothing like New Jersey, Delaware, and Maryland beaches. I can see why you prefer Maine! Thanks, Dianne. 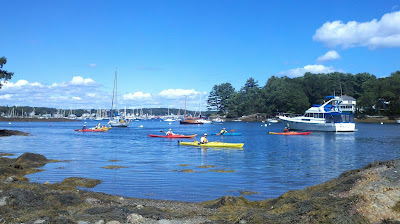 Yes, Maine is never really crowded. I'll be interested in hearing your opinion on the book when you read it, Kim. Summer is far from over here. I read and also did campnano. On my way to read your published piece. Congratulations!!! Ah, where you live it's summer all year round, isn't it? :) We got back yesterday, and today I noticed signs of autumn already. My burning bushes are starting to turn red. And it's cooling off at night here. Thanks, Akoss. How did Camp Nano go? I'll be over to check your blog soon. Welcome back Joanne! And congratulations on your publishing credit, so awesome! Your photos are beautiful. Besides The Witches, I've missed these classics too. Hmm. Will have to check them out. Oh. And can I have that Lobster BLT? Thank you. 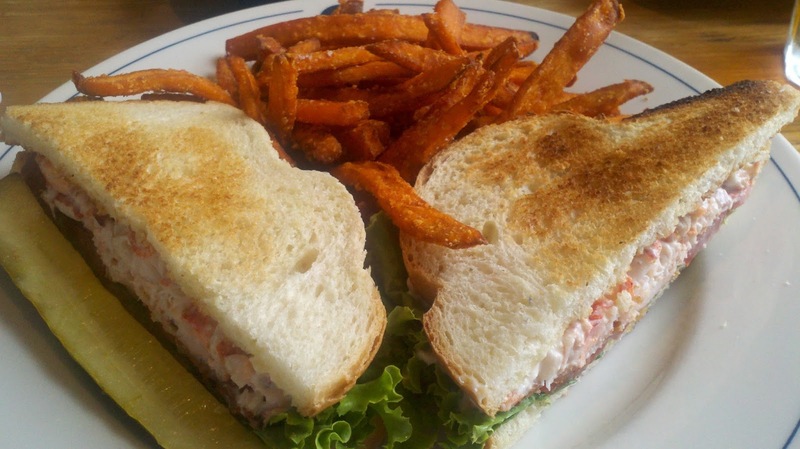 You can have a lobster BLT anytime you want to make the trip to Maine. :) Lots of restaurants were serving them. It's a bit different from the standard lobster roll I usually eat. Great job! I'm heading over to read your story now. Congrats! Also, I love the photos it looks like the perfect place to spend a vacation. That's my kind of place to chill out and and slow down. Beautiful. Chill out and slow down is exactly what we did! I totally u dear stand why you went where you went! Oh. My. Gosh. 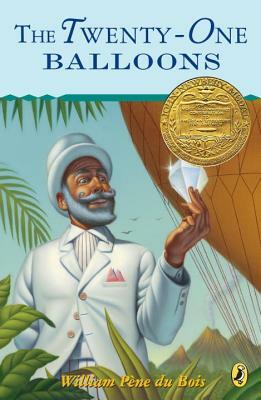 Reading mostly middle grade arcs right now including Real Boy by Anne Ursu. Also read The Center of Everything by Linda Urban. Loved! 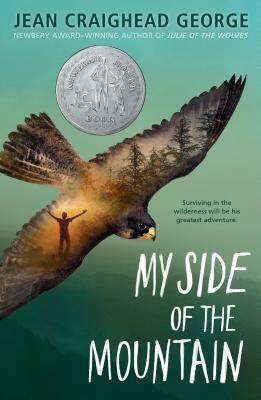 My Side of the Mountain was my favourite book growing up. When I re read it recently I thought YIKES on the parents lol!! Thanks for the post and welcome back! Maine is simply lovely, isn't it? Sounds like you've done plenty of reading this summer, Deb. How funny you had that thought about Sam's parents too. I love all these stories, as well as the new Neil Gaiman book. And I really wish I could have joined you in that scrumptious lunch! Thanks, Faith. Glad to hear you liked the new Neil Gaiman book too. I didn't take anywhere near enough photos of lunches and dinners. Now I wish I had. And CONGRATS on your story! Congrats Ms. Fritz! 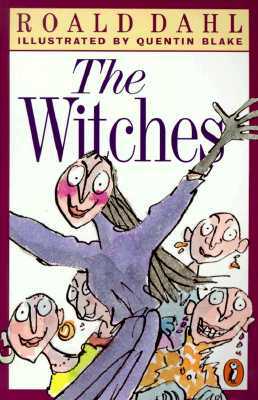 :D I love Roald Dahl's Witches! Welcome back! I haven't read any of the classics you mentioned, although I have read other Roald Dahl books. Gorgeous pictures! Nice to meet you too, Emilyann. Thanks for stopping by. Looks like you had a lovely vacation. Congrats on your new status as published author and welcome back! YAY Joanne-- well done on the publications! I will check them out. Your photos make it really clear why you visit Maine-- WOW! Gorgeous! Thanks, Kat. Good to hear from you. And thanks for tweeting about my story! Congratulations! I'll check out the link. Those pictures are beautiful. What a wonderful break. Love your vacation pictures. I can definitely see why you go back! :) Congrats on your publishing credit, very exciting for you!